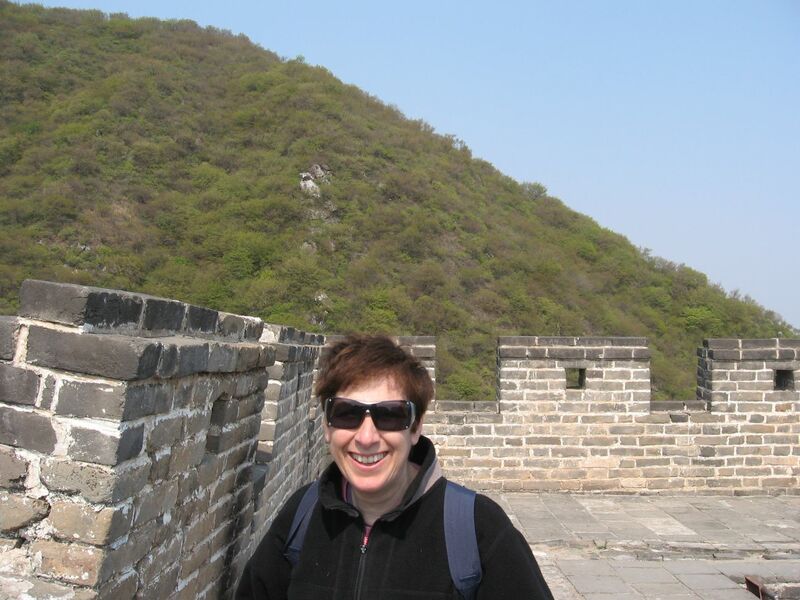 I am an Ex Brit,based in Jerusalem but now living in China , and recently retired from teaching High School English as a Foreign Language.In China I teach University College English. I love my life, (my home ,my family) but my current dream (apart from more traveling, my continual obsession) is to spend a year or so living and teaching in China. Having come back from a fabulous trip there, I think that it would be a great experience, and the Chinese people are so open and friendly, and desperately in need of English teachers. Update: Dream coming true! Taken early retirement we are off to teach in Hangzhou,China for a year. Update 2-finished our first year of teaching in Lin’an and back at home in Israel relaxing with family and friends.Part 2 of China coming up. So apparently we are returning to Xiamen for another year. We seem to have got the China bug rather badly and after weighing up various things another year of craziness in Jimei sounded pretty tempting. After two amazing years teaching in Xiamen University of Technology we are back home.Not sure where we will go next-maybe back to China, maybe to another part of the world-Costa Rica,Mexico,Ecuador. The world is our oyster. I found your blog both interesting and inspiring! I would like to subscribe! thanks Naomi. Your article in the Etai Forum arrived yesterday and was excellent, btw. I found you on twitter and just wanted to see if you would be interested in joining our team of writers (pro bono unfortunately). We are a online backpacker travel Mag. Thanks for the compliment! I really don’t think that I can write for your blog as I only travel about twice a year.And I am hoping to be working in China next year and I don’t know how things will be over there yet. Thanks again,I will check out the travel blog. I saw your profile at edufire.com. Would you tell me about your English classes? Do visit the Xi XI Wetlands National Park near Hangzhou if you get the time and enjoy a great day out there. We stopped here off the highway for the total solar eclipse in 2009 and also visit the Tidal Bore nearby. I am happy to see your lovely photos. You seem really happy and enjoy every minute of it my friend.Maybe one day I will visit china and see the amazing places. Best wishes. thank you for all your good wishes Leyla and I hope to be back on EC one of these days! give my best to Demet. I have also only been here since September and you are right the language is really really difficult. I now have a student who is helping me in exchange for english conversation but it is really a struggle and I thought it would be a piece of cake since I already know 4 languages lol.Anyway thanks for your comments! Hey Ruthi, I love your blog also. It is great to see your dream coming true!!! I haven’t made it to China yet, but I am really looking forward to it late this year I hope. Hi Ruthi! We are glad that you fulfilled your dreams, and now you can teach in China! It must be a fascinating experience, we also would like to travel around China once. In the meanwhile we will keep on coming to your back to read your stories! Thank you for your kind words Gabor.I have visited both Hungary and Barcelona and love both places very much.Every success with your blog too! I have enjoyed reading about your adventures in China. My husband and I (both Australian) would love to teach in Xiamen. We had a great time teaching in Hangzhou in 2009 and are now ready to take another year off to try a different and warmer location. I would appreciate any advice about universities in Xiamen. Please write if you are the right person. Yes of course you reached the right person. How nice to hear from you. I will email you later! Hope you liked my blog post.I will continue (and reach San Cristobal later) I hope you and Kathy are well and got home safely. Will be happy to be in touch. Was just there not to long ago. What a incredible city. Will be back to visit your blog more. Thanks Archecotech! You can visit more cities in China it just gets better and better!.Welcome to drop into the blog again. I’m currently in the application process with XMUT (I had my Skype interview yesterday) and am wondering a lot about life in Jimei/Xiamen. Your blog has already been a wealth of information — thank you for that! But I wonder if maybe you could send me an email to answer a couple other questions I have. Thanks! Thanks for the reply on LinkedIn. Looks like you’re having a great time. Yes, visiting the Tulou is on my list of things to do. I hope to see a lot of China and do some hiking. I have invitations from former students and others to come and visit them and their cities. Someone else mentioned that I should get an expat shield before I go. Is that the same thing as a VPN? I have never heard the term expat shield,Paul. Everyone I know gets a VPN-there are free ones but for a little money you can get a really good one that will always work and which has online support 24/7. Good luck and keep me updated on your job in Fujian.